For a year Drinor has had their goal set on a full scale machine, CDP – and now they are about to reach one of their milestones, as the machine now will be installed and tested. – The quality assurance is an important part of the process, we have now done the final testing of the machine and shipped it to the pellet-mill where it will be tested in full scale production, says Alexander Thelander, market executive at Drinor. In only one year the CDP, will move from concept to ready product. To develop a machine without technical references, in such a short time, demands an experienced project team with great competence. – This experienced team works with great momentum and team-spirit, which shows great results, says Jonas Wall, project manager at Drinor. Soon the CDP, will be ready for commercial testing on-site. The first installation will be in a large Swedish pellet-mill, Rindi. During 2017 the project team has produced drawings, specifications and layouts for what to come. Within weeks, the check-out of the machine starts at Rindi´s site, in Älvdalen. – This is to verify the most important functions, that they work properly, says Jonas. All mechanical parts and functions, as well as automation, has been tested together with the team at CS production in Säffle, Sweden. By CDP mechanical dewatering, drying-cost can be cut by 95% compared to thermal drying. The material specification after pressing shows a better function for pelletizing and further mechanical processing. 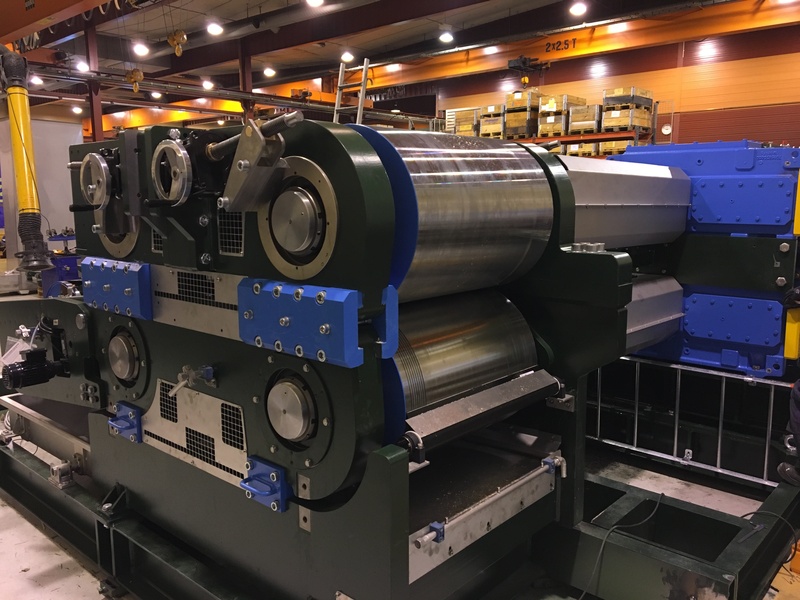 Drinor is now installing their first industrial-scale press in Sweden, focusing on woodchips and sawdust. A capacity of 60m3/h, and dewatering down to 40% is expected. The mechanical dewatering press will soon become a complement to the thermal dryers. As Drinor moves on with producing a set of 5 machines for a 0-series during 2018, a new field of R&D is introduced.